The centuries-old practice of letterpress printing has been invigorated — and in many cases reinvented — by contemporary artists. Breaking boundaries in this medium simultaneously connects to its roots, on a continuum with an incredibly rich history of innovation that began with the advent of moveable type in the west. Whether reimagining the printed broadside through the lens of western identity and magical realism, or conducting a formal investigation of the visual vocabulary and aesthetics of the type itself, the regional, national and international artists featured in this exhibition explore a range of concepts grounded in contemporary letterpress printing practice. The exhibition will include a collaboration with The Press at Colorado College, a film screening of “Pressing On: The Letterpress Film” directed by Erin Beckloff, artist talks and workshops. 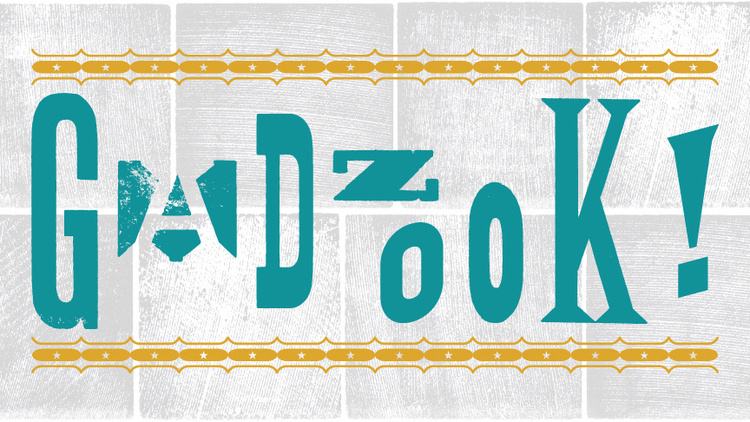 Gadzook! will be on view First Fridays and Saturdays through March 2.